Outburst is a unique family orientated club giving your child an environment where exploration, excitement and entertainment come as standard. Located in the Scout Hall on Woodbourne Road we are a short and healthy walk from Brooklands Primary School. This gives us the opportunity to educate the children in road sense and road safety. 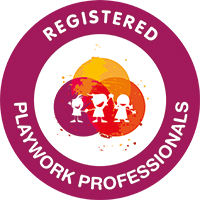 We are working towards the Play England ideal with a focus on the outdoors, and the Playwork Principles. At Outburst the food is exceptional, hot or cold and more than just a snack. We believe in a good healthy breakfast and substantial nourishment after a full day at school. ​ Above all Outburst is great fun for Kids!